In the presence of Deputy Tomlinson’s colleagues, friends and family, Lt. Colonel Guthrie Ashton, Jr., stated, “Deputy Tomlinson is honored for his conspicuously meritorious service as a deputy of the Hanover County Sheriff’s Office. 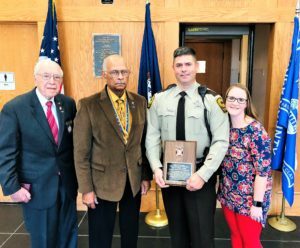 Throughout his tenures of service in the U.S. Marine Corps, U.S. Army and the Sheriff’s Office, he has displayed exceptional dedication to duty, professionalism and patriotism. Deputy Tomlinson has served Hanover County since 2010 and currently works in the patrol division assigned to midnight shift. He also serves as a field training officer and is a member of the Hanover County Sheriff’s Office SWAT Team. Deputy Tomlinson was recognized for his service and contributions to the Sheriff’s Office, our community and country. Select a sheriff Adams, D. T. "Duck" Agnew, James L. Allen, Timothy A. Allin,, H. E. "Bucky" Amos, Mark A. Armentrout, Mark R. Arthur, Beth Balderson, C. O. Baron, Joe Barrick, L. Mark Bittle, S. Stephen Blalock, Christopher J. Brown, Michael J. Brown,, James E. Bushey, David P. Carter, Timothy C. Chapman, Michael L. Charboneau, John R. Clark, Fred S. Clarke, James R. Compton, Connie S. Craddock, L. Trevor N. Craig, Brian J. Crawford, Vanessa R. Cubbage, Chadwick W. "Chad" Decatur, David P. "DP" Deeds, Robert J. Dempsey, Steve F. Diggs, J. D. "Danny" Doughty,, David L. Draper, Steve M. Dunagan, W. Keith Dye, Steven L. Fortune, Ashland D. Foster, C. Ray Gardner, John B. "J.B." Giles, Ernest L. Godwin, Todd E. Hall, Kevin W. Hamilton,, W. Randolph Harding, J. E. "Chip" Harris, Roger L. Harris, E. C. Harris,, Joe Hawkins,, R. W. "Bobby" Hess, Eric B. Hieatt, Brian L. Higgs, Paul W. Hill, David W. Hill, Glendell Hines, David R. Hodges, Darrell L. Holder, Chris Holmes, W. A. "Arnie" Hutcherson, Steve A. Hutcheson, Bryan F. Irving, Antionette V. Jarratt,, William T. "Tim" Jenkins, Scott H. Jones, Alan M. Jones, Thomas D. Kephart, Steve M. Kidd,, W. G. "Billy" Kincaid, Stacey A. Lawhorne, Dana A. Leonard, Karl S. Letterman, Barry E. Lippa, A. A. "Tony" Lyons, James R. "Doc" Maples, David H. McCranie, Patrick McEathron, Daniel T. McLaughlin, J. J. "Joe" Millholland, L. W. "Lenny" Millirons, W. Morgan Mondul, Michael S. Moore, Michael A. Morgan, Gabe A. Mosier, Robert P. "Bob" Neil, David A. Newman, Fred P. Noaks, Carlos J. Nunnally, Brad W. Oakes, Ronnie Orange, J. Eric Overton,, W. Q. "Bill" O'Sullivan, Jim Parrish, Larry J. Parsons, Gary B. Partin, C. H. "Hank" Perry, Lane A. Plecker, Robert W. Prince, D. Keith Reed, Wesley W. Roberts, Brian K. Roberts, B. J. Robertson, Matthew H. Roper, Anthony W. "Tony" Roseberry, Thomas J. Shuler, B. C. "Chip" Sloan, Donald T. Smith, Donald L. Smith, Steven S. Smith, Daniel M. Smith, Stephan B. Sprinkle, Ronald N. Stanley, Scott Staton, April M. Stolle, Kenneth W. Stutts, J. B. "Jack" Taylor, Michael W. "Mike" Taylor, Les R. Townsend,, Arthur Turner, Carlos Vaughan, Richard A. Viar, Ernest "EW" Wade, Michael L. Walker, Ricky L. Walton, J. S. "Jeff" Warren,, Darrell W. Weaver, Erik J. Wilson, Todd B. Worrell, Michael W.
Copyright © 2019. All rights reserved. 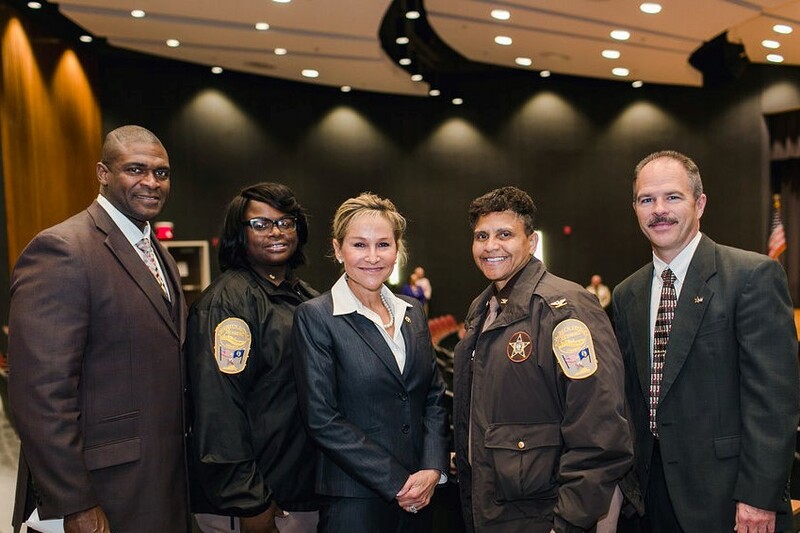 Virginia Sheriffs' Association.